From before dawn, 54-year-old grandmother Annah Muvhali weaves between baobab trees that loom over her rural South African home, collecting fruit that enthusiasts worldwide hail as a "superfood". 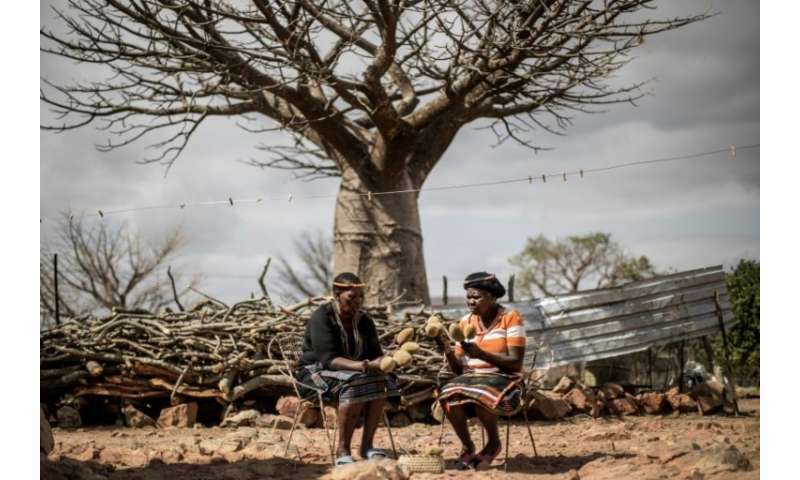 About 1,000 women in the village of Muswodi Dipeni, in the northern province of Limpopo, earn a living by harvesting the furry, hard-shelled baobab fruit pods. The seeds and chalky powder inside the pods have become a global health craze celebrated for their vitamin-packed properties and now used in everything from flavoured soda, ice cream and chocolate to gin and cosmetics. "Before, I never knew there was any value in baobab. My family and I would eat the fruit simply because it makes a delicious yoghurt-like porridge that is nutritious and filling," Muvhali told AFP. "I always use it for my grandchildren when their stomachs are troublesome." 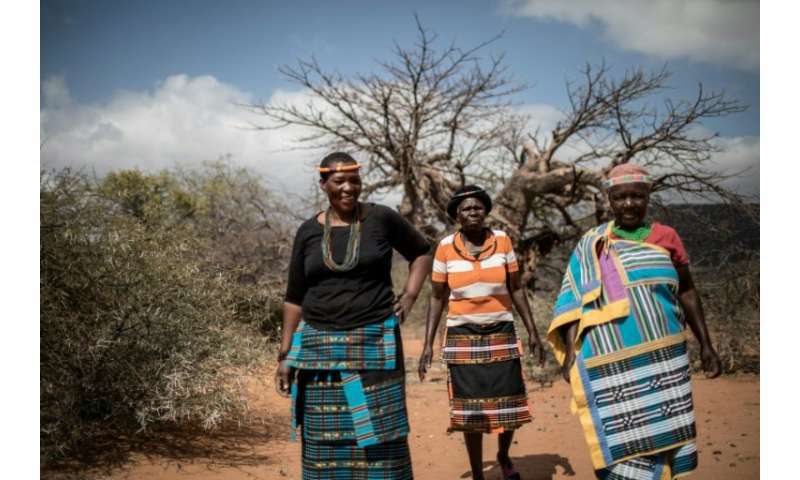 Known locally as "baobab guardians", women like Muvhali also plant and nurture baobab saplings in their gardens and earn an income for each centimetre that the trees grow. Having started in 2006, the grandmother of five has since been able to build a house for her two children and grandchildren from her earnings. Elisa Phaswana, 59, has been nurturing a single one-metre-high sapling—protected from goats by a makeshift fence—for the past two years. She said the baobab guardian programme had alleviated poverty in the community. "It helps the environment and it helps us especially because there is little to no work for us and our children in our village." "I get about R320 ($21) per centimetre." 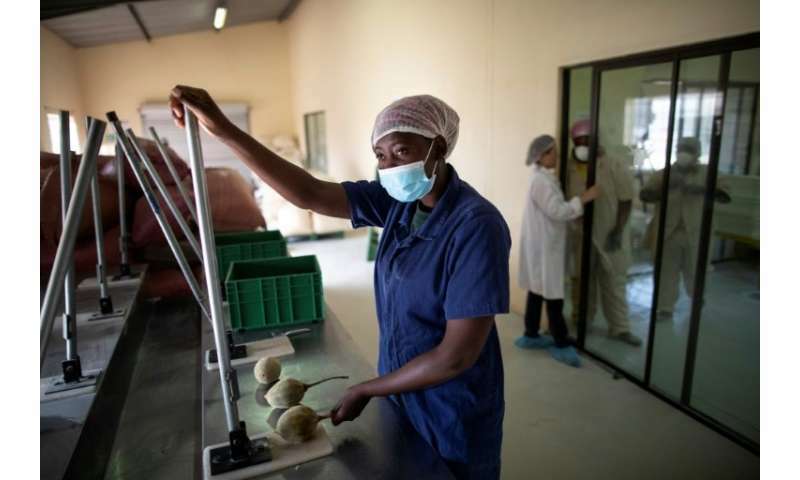 Sarah Venter, an ecologist who runs the Ecoproducts company behind the baobab cultivation, said the scheme rewarded women for their skills and care. "They get paid a certain amount until the tree reaches three metres high and after that it will live for 1,000 years. "It has a value chain where everybody benefits, including a rural person picking up something that's already in their environment and getting an income for it," Venter said. "If we are lucky enough as an industry to get to a point where demand exceeds supply, prices will go up and rural producers will get more for what they collect." Venter said demand for baobab powder has zoomed every year since 2013, with Europe, the United States, and Canada now the biggest consumer markets. Estimates by the African Baobab Alliance show that baobab powder exports grew to 450 tonnes in 2017. Baobab Foods, a leading distributor and supplier, has seen an exploding growth in demand for baobab products in recent years. "In 2018 we have more than doubled our annual imports of baobab fruit powder into the United States alone," it said in a statement. The tree can take up to 200 years to bear fruit, but watering them every day can see that time reduced to 30 years. A tree then produces fruit annually for nearly 200 years. Historically credited with mythical and spiritual powers in African folklore, the baobab is known as the "upside down tree", as its branches look like roots. Fruit like goji and acai berries, pomegranate, cantaloupe and now baobab fruit are described as superfoods by some nutritionists because of their high levels of antioxidants, fibre, vitamins and minerals. "Baobab is one of the highest vitamin C containing fruits. There's natural antioxidants, some vitamin E and various plant compounds which have anti-inflammatory and antioxidant uses," Jean Francois Sobiecki, nutritionist and ethnobotanist at the University of Johannesburg, told AFP. "It has got a really good combination of natural vitamins, antioxidants, protein and also healing substances which all together makes it an incredible superfood."